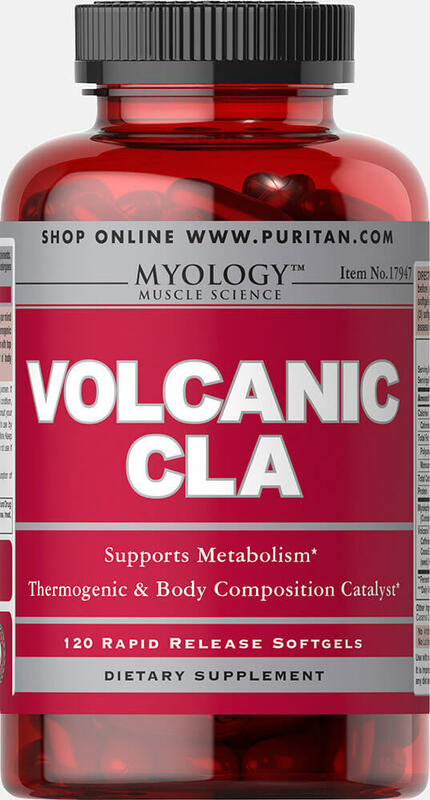 Volcanic Inferno CLA can really heat up your workouts! Designed to be taken before you hit the gym, this pre-workout supplement fires up your mind and body — it sharpens mental focus while bolstering energy metabolism. ** This extreme thermogenic blend is enhanced with Guarana, Green Tea standardized for EGCG, and Caffeine to help boost your exercise performance. ** Also included is Tonalin CLA to support a healthy body composition and help maintain a peak level of physical fitness all year round. ** For best results, use with a reduced calorie diet and a daily exercise program. Read all label directions and warnings prior to use.